The area of professional services spend continues to be a potential source of incredible value generation for most companies. Yet, most companies approach this spend segment with a very traditional sourcing approach and end up either leaving significant value on the table or in some cases, actually losing value. As we often tell our clients, getting lower hourly/daily rates is the easiest thing to do. It’s tackling the rest of the “system” or puzzle that is the challenging part and the one that yields the highest value. You may have seen this model before from us but it merits another look. Which of these segments do you think yields the highest value? If your answer is anything but the sourcing segment, you are correct and should move to the head of the class. The Definition, Review and Approval is the front end of this spend category where the demand is being identified and budget approvals are being sought through business cases etc. 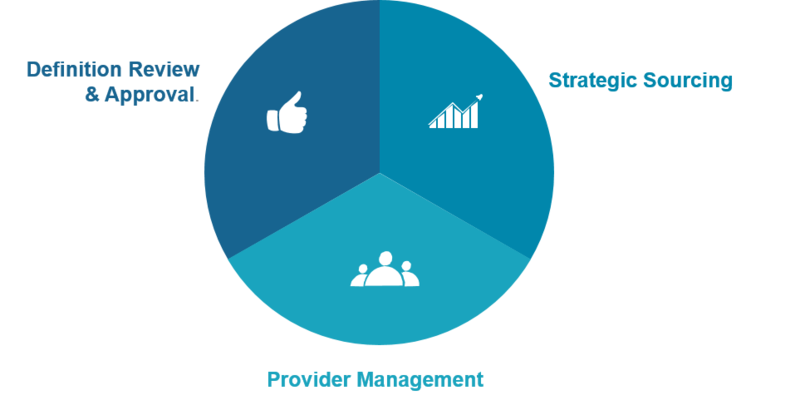 Category/Provider management is the back end where we are managing the engagements, the providers and the overall category. Here is the biggest challenge in addressing this category as a “system”. It is easy to focus on Sourcing to try and deliver lower rates. To optimize the other two segments, you need to identify the Value Drivers for all the stakeholders involved and relentlessly try to optimize those and that is no easy task. 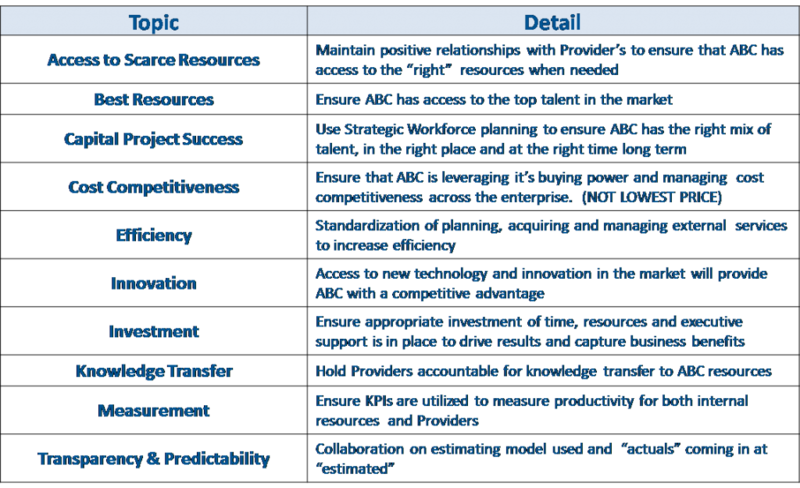 Here is a list from a recent client engagement of all the Value Drivers that were identified. Imagine the value that you would deliver and the high level of satisfaction you would enjoy from your stakeholders if they were convinced that these Value Drivers are the ones that you as a sourcing organization will focus on. If you attended our webinar series on Category Management (recordings available ), you will recognize that this is the fundamental difference between sourcing and Category Management. Applying a systems approach to this category will let you extract maximum value but is also not easy and requires far more of the strategic competencies that we keep dismissing as not as important. Previous ArticleCulture Eats Strategy….or Does It? Next Article Do You Know the Difference between Strategic Sourcing & Category Management – Capturing Knowledge!